As users rebel against technology that is too complicated, a new trend is emerging – simplicity is now hip. Maeda offers ten laws for balancing simplicity and complexity, guidelines for needing less and getting more. The author shows how designers are leading the movement toward simplicity. 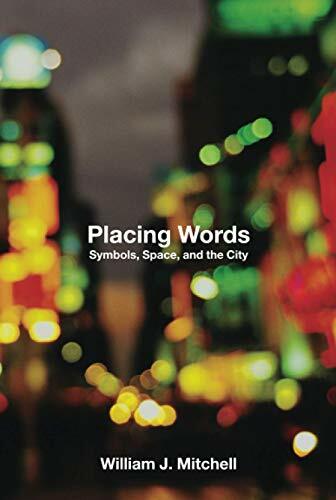 - Subtitled "Symbols, Space and the City" this book addresses a variety of topics -- from the Post 9/11 urban landscape to the questioning the necessity of flashy downtown office towers in an age of corporate websites. Mitchell has fashioned his latest collection of essays around headlines and pop culture fodder. This volume is insightful, colorful and fun. Highly recommended. - At the turn of this century, how do we recognize the pioneering works in new media -- computers, the web and other digital compositions? A scientist and theoretician, Lev Manovich guides the way in his must-read book. - This book is a joyous, philosophical joy ride on the Internet. The author draws a map of cyberspace's influence in the city and says that if we take the change seriously, where we live and work can become "e-topias--lean, green cities that work smarter, not harder." His proposals are creative and practical and show the possibilities of increased interconnectivity on both a personal and a global scale. - Stoll documents the downside to using the Web and computers. This is must-reading for curmudgeons and champions of cyberculture alike. - Dark fiber is optical fiber infrastructure (cabling and repeaters) that is currently in place but is not being used. It's a brilliant metaphor for the ideas that are covered in this book. A brilliant thinker working at the intersection of net criticism and social activism, Lovink has figured prominently in cyberculture for the past decade. He discusses the rise and fall of dotcom mania, the erosion of email, debates over a common Internet time standard, virtual communities, and the clashes and synergies among governments and non-governmental organizations (NGOs). Highly recommended. - The quirky title sounds like a detective story, and the authors are up to the disk. They explore office culture in the digital age. They document the usefulness of paper. What could have been a superficial examination of a bland topic is transformed into a funny and perceptive book. Excellent! - While the Web has been called a "working anarchy," there are a number of features or regularities that can be considered laws. Author Bernardo Huberman explains some interesting phenomenon in this book which explores the web as an informational ecosystem. - This book challenges the notion that to study new media is to study exclusively today's new media. The book explores moments of transition from the mid 1700s to the early 20th century when media were in flux. - Tale of a 20-year correspondence between an outspoken New York writer and a fairly restrained London bookseller. - Explore how meetings can be achieved via 'organized chaos'-- and take part in designing the events in which you participate! - Tourism and Climate Change is a comprehensive overview which analyzes new studies reviewing the impact of tourism on climate change and the the impact of climate change on tourism. Must read.